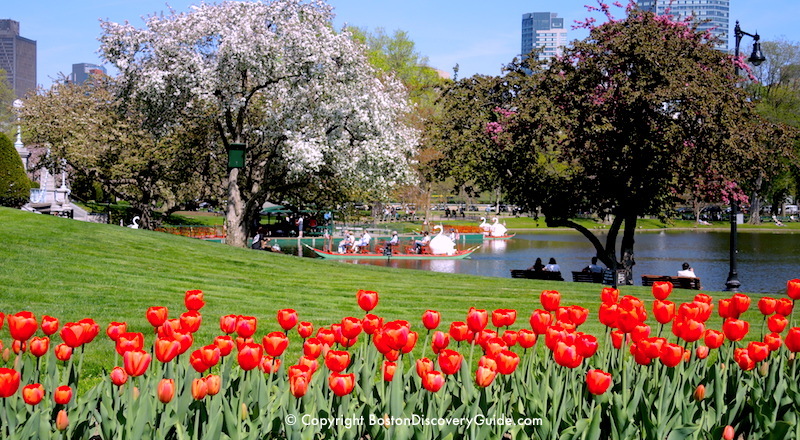 Almost every flower in Boston seems to burst into bloom on Mother's Day, making this a perfect time to do something special with your Mom. 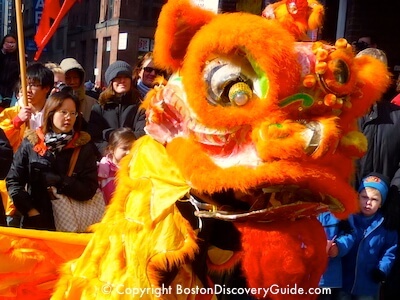 Here are our 5 top suggestions for celebrating Mother's Day in Boston, which falls on Sunday, May 14 this year. There's something here for everyone . . . and best of all, they're sure to please your mom - and you. To help you choose, we've created a few Mom "profiles" - and then matched them to events and activities. Pick the one that best fits your mom. You'll both have fun - and you'll create new memories to savor for a lifetime. 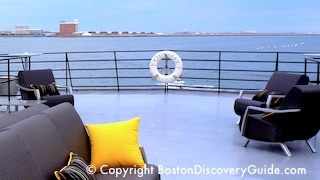 Treat her to a Mother's Day brunch, lunch, or dinner cruise around the harbor aboard the Odyssey or Spirit of Boston, Boston's premier luxury Harbor Cruise liners. Sample the gourmet cuisine, enjoy the music, and best of all, relax on the deck and enjoy the great views. You are the Mom . . . The proud Mom of the cutest toddler on the planet. 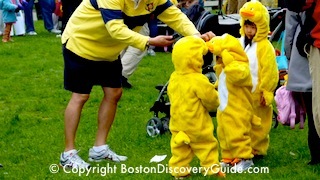 So dress your cutie in yellow (Amazon offers a big selection) and join the Duckling Day Parade from Boston Common to the Public Garden - the perfect way to celebrate Mother's Day! Pose by the Make Way for Ducklings statues for the perfect photo. Your Mom: Loves the simple things in life, and lavendar just happens to be her favorite color. 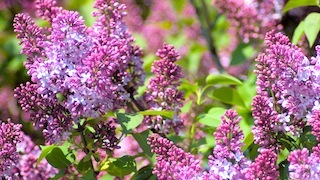 Pack a picnic lunch and blanket, and head over to Arnold Arboretum for Lilac Sunday, which always falls on Mother's Day. Your mom will love the intoxicating scent of the many lilacs in full bloom. Your Mom: Loves shopping, but doesn't really need anything. So for Mother's Day, get her something she wants. 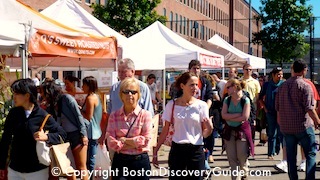 Head over to South End Open Markets, Boston's largest outdoor artisan market where you'll find a huge array of unique jewelry, clothing, crafts, gourmet foods, art, plus lots more. You: Once upon a time, the world's rudest teenager. Your Mom . . . always (well, almost always) patient and understanding. Now . . . it's payback time. Yes, it's a splurge. 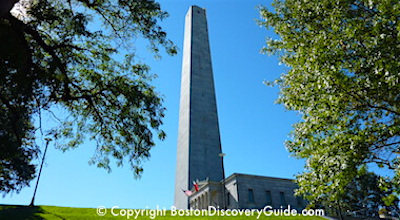 But Paris is only 6 hours from Boston by air. Your mom deserves this! Imagine your mom's face when you announce you're taking her to the City of Lights for Mother's Day Weekend. Imagine how much fun you'll have being there with her. 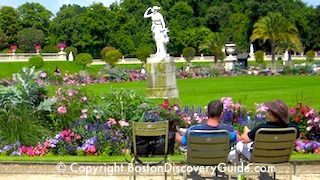 Find vacation travel deals in Paris! Boston's 5-star Mandarin Oriental Hotel boasts a luxurious spa with 8 private suites, pampering spa programs, and treatments designed to optimize physical and mental well-being. The Ritz-Carlton Boston offers a unique combination including state of the art spa indulgence, numerous fitness classes, and specially-designed Mind Body Studios within the spectacular on-site Sports Club/LA. The Langham Boston's Chuan Body + Soul Spa brings together principles of traditional Chinese medicine and speciality treatments. Your mom will enjoy the great fitness facilities and indoor pool too.